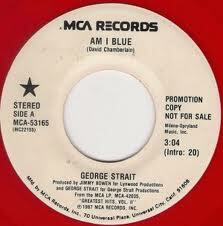 Another hit from Strait that revels in his Western Swing roots. Like much of his best eighties material, the contemporary production makes it timely, but the arrangements and vocal performance make it timeless. The Western Swing flavoring really sells this one for me. I just love this side of George Strait. Would love to hear more western swing on radio. What they play these days is not true country music!!!!!! !